Stop me if you’ve heard this one before. A new team member joins your contact center. She is put through training and taught how to use her phone and your company CRM, how to de-escalate upset customers, and how to go through the necessary talking points on common calls. She is taught all about the products and services your company offers and how to overcome objections and answer customer questions. She graduates from training and is soon getting recognition for being a top performer. She is lauded for having the lowest Average Handle Time, highest Call Quality scores, and highest Schedule Adherence. Eventually, after months of being a top performer she is promoted into a supervisory role. This is a common practice in many contact centers. And just as common is the scenario where that top-performer-turned-Supervisor is asked to do her new job with little or no training. Of course, she isgiven training on how to approve time sheets, how to score a call, and, so very often, how to run reports, but she never gets training on how to actually manage her team members. Often, the biggest jump in one’s career is the jump from individual contributor to front-line supervisor. This first jump is typically the most terrifying. Performance as an agent is not the best indicator of who will be a strong supervisor. And then contact centers make it worse by not giving any training. Nearly every time I talk with other contact center leaders the subject of manager training comes up. And I’m always surprised when leaders acknowledge the need for it, but they continue to promote team members solely based on them having the “best stats” and hope for the best. What does it take to be an effective contact center supervisor? It’s all about the people. Specifically, a supervisor’s job is all about getting results through other people, but where is the training on how to do that? Mark Horstman and Mike Auzenne created the Manager Tools podcast in 2005. At the time, I was running a customer service and sales call center for a large national bank. I had a great manager that supported me and my goals. I was also hungry for resources on how to be a better manager and had grown tired of the philosophical and fable based management training programs that had become commonplace. I already knew who moved my cheese, now I wanted to know how to do the rest of the hard stuff great managers always seems to do naturally. Since I drove an hour to work every day, I searched iTunes for podcasts on the subject and quickly found Manager Tools. I benefited from great luck and timing, because my personal quest to be a better manager began shortly after Mark and Mike, both of which became successful executives after graduating from West Point and serving as Army officers, started Manager Tools. I started listening every week and was impressed that they were teaching actual behavior changes that I could implement that week. Manager Tools was (and still is) all about the specific behaviors I could learn that would help me be a better manager that week. It focuses on actual behaviors, or as Mark and Mike often refer to it, the “blocking and tackling” of being an effective manager. Manager Tools is exactly that: tools to be a better manager. Rather than telling philosophical stories or relying on metaphors, Manager Tools teaches real, duplicable models for every aspect of being an effective manager. The Effective Manager, the book written by Mark Horstman in 2016, was published years after the podcast began, and after tens of thousands of managers from all over the world have listened to their podcast and attended their live training sessions. The book focuses on teaching the Trinity and is a great introduction to the basics, especially for those that aren’t used to listening to podcasts. Don’t let the name fool you, the Manager Tools Trinity is actually four things. Yes, four for the price of three. The Trinity are the four critical behaviors managers must do to effectively manage their team. One on ones, the first of the models in the Trinity, is exactly what it sounds like, a one on one meeting between a supervisor and her direct report. But the one on one guidance developed by Manager Tools describes when to do them (weekly, always scheduled, rarely missed) and how to do them (direct report goes first, supervisor goes seconds). Feedback has one purpose: to encourage effective behavior in the future. A manager can’t be effective if he’s not able to communicate with his direct reports about their individual performance. At my first Manager Tools Effective Manager conference, they asked the 100 attendees to raise our hand if we wished our manager gave us more feedback. Nearly every hand went up. Next, we were asked to raise our hand if we believed that our direct reports got enough feedback from us. Again, nearly every hand went up. If we all wish that our manager would give us more feedback, it is fairly likely that our direct reports would say the same about us. Many managers don’t realize that. And, many managers still struggle giving feedback. The Feedback Model gives a clear and concise method of delivering feedback. For me and my organization, the Feedback Model was the most transformative of the Management Basics. Every manager knows they need to coach their employees, but few will agree on the best way to do it, or even, what “coaching” means. Manager Tools teaches a simple model for effective coaching that will help develop skills in your direct reports. Growing the organization’s capabilities is every manager’s job. And delegating work is how we do that. There is a finite amount of work any one manager can do, and in order to grow, a manager must be able to take on additional responsibilities. The delegation model is a frame work to effectively delegate work to your direct reports. I have used what I have learned from Manager Tools for nearly 15 years and have seen it deliver markedly improved results – more productive and engaged employees, less turnover, etc. It is a series of tools that my managers, supervisors, team leads, and trainers have all used as well. Lastly, and I do not say this lightly: a great deal of the success I have had in my career is because I have put into practice the things I have learned from Manager Tools. 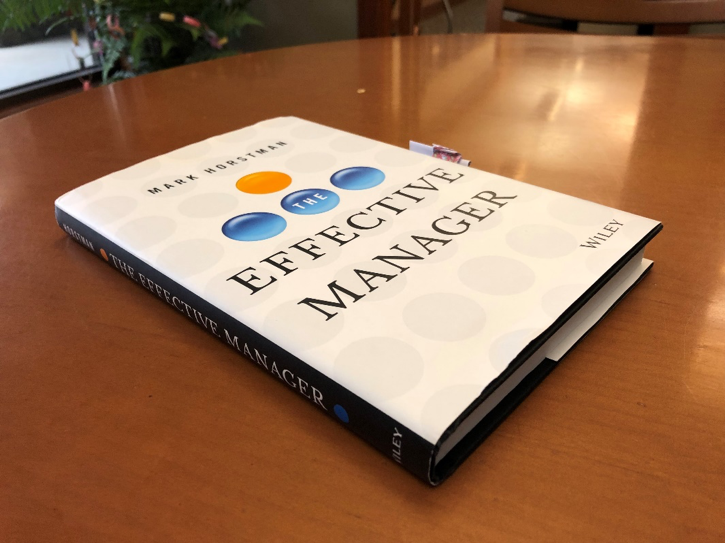 My advice to anyone wanting to be a more effective manager, or wanting to help your managers become more effective: read the book, then subscribe to the podcast, start listening and putting what you’ve learned to use – your direct reports and your company will thank you. After reading the book, I recommend listening to the 4 part series, Rolling Out the Manager Tools Trinity. To get even more of the benefits, such as complete show notes and slides, and other perks, become a Personal License holder. Also, the Manager Tools team hosts conferences around the world and offer an incredible opportunity to learn the fundamentals in person. Being a manager is important work. We can have such an impact of the lives of the people we work with, positively or negatively. Manager Tools will help you have a positive impact on those around you. We owe it to our company, our team members, and even their families.